Spring is flitting and fluttering by so fast - I missed both the May Day Fairie Festival and Maryland Faerie Festival this year! Instead of pouting, I'm clapping my hands with Karen of Rising Star Pottery to prove I still do believe in fairies. My purple fairy may think we're being too loud, but Xara and Sariva, both fabric art dolls, look pleased. I believe in fairies too! I also wanted to let you know I tagged you in the 11 things meme. You don’t have to do it, but it’s fun! What a sweet treasury! A great way to start the morning. I love the fairy treasury! I have a good fairy collection. 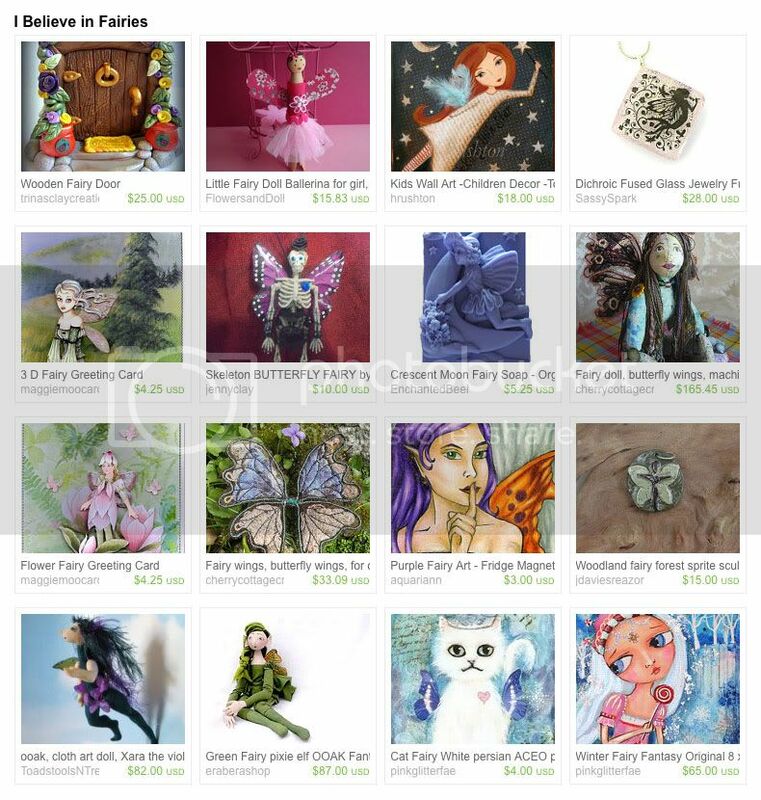 Oh what a cute treasury! Kristin, thanks! I typed in my name instead of the name of treasury...oh well! Love the treasury! I have left a link to one I have just made about Fashion, hope you enjoy!